Sirish (41) is a serial entrepreneur with close to two decades of experience in domestic and international motorsport. Born in Bangalore, Sirish spent over 20 years in the United States of America, studying Mechanical Engineering and working on various motorsport projects. He is also one of the only Indians to master motorsport engineering by developing a car for the prestigious 24 hours LeMans endurance race. Apart from his unprecedented commitment to motorsport, he has established two companies in India for promoting new ideas into the manufacturing industry and motorsport. "Sirish's vast experience and valuable knowledge on industry know-how will further strengthen our motorsport activities in India, which started and has seen phenomenal success under the guidance of Prithviraj until now. We welcome Sirish to the Volkswagen family and look forward to his strategic guidance of our Motorsport activity as he takes on this new responsibility," said Mahesh Kodumudi, President and Managing Director, Volkswagen India Private Limited, Head of Volkswagen Group Sales India Private Limited. "I am honoured and excited at the opportunity of heading the already well-established Volkswagen Motorsport division in India as the sport continues to evolve. 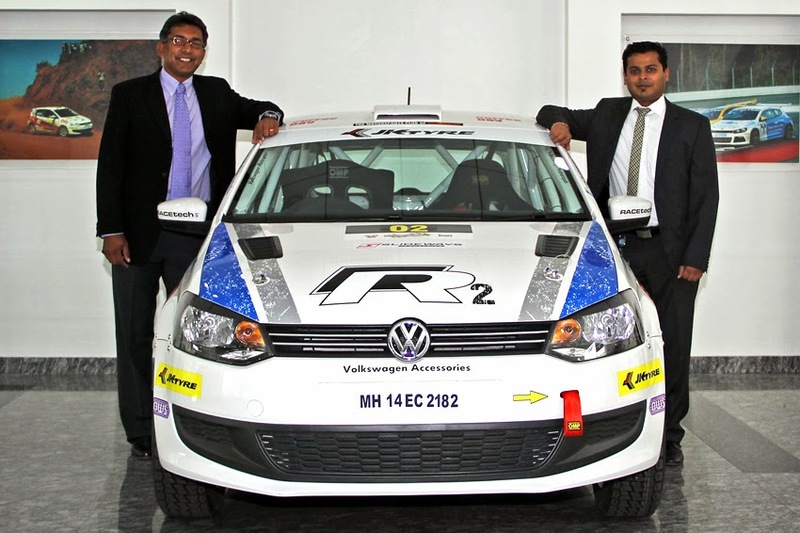 Prithviraj has set a benchmark and I will give my 100% to pick it up from where he has left it and ensure that motorsport continues to grow," said Sirish Vissa, Head of Volkswagen Motorsport India. Prithviraj Siddappa, former Volkswagen Motorsport Head added, "It has been a pleasure spearheading Volkswagen Motorsport journey in India and I firmly believe that it will flourish further under Sirish's leadership. He has vast knowledge of the sport and I am glad that an expert like him will take over from me. I am sure everyone will extend the same support that I got over the last four years."